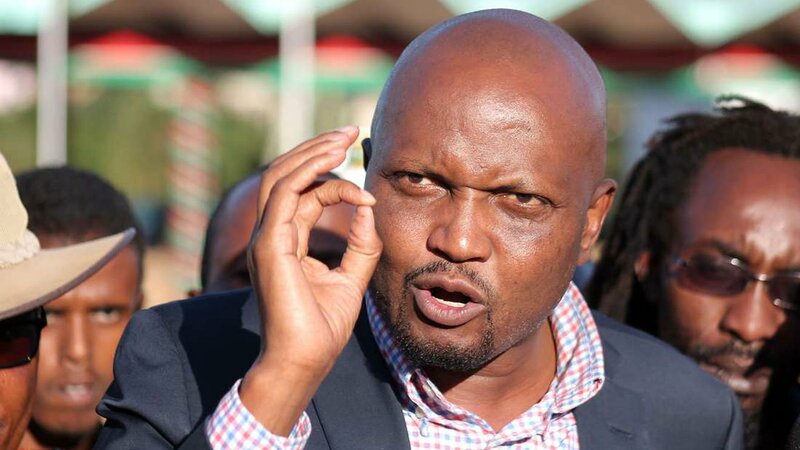 Monday April 15, 2019-Gatundu South MP, Moses Kuria, has said Mt Kenya region could struggle in finding a suitable political party ahead of 2022 presidential elections. Speaking on Sunday, Kuria, who has already expressed interest in succeeding President Uhuru Kenyatta, argued that the region could find it hard to pursue it's interest in the current political environment, adding that working with Deputy President William Ruto is not a viable option. “We erred when we dissolved our party, The National Alliance because Jubilee Party is an amorphous vehicle where we can’t plan about Mt Kenya through it," Kuria said. "There is a likelihood that Raila Odinga will work with DP Ruto. These two people have worked together before. What makes you think that it cannot happen? We need our own party now or we stay in the cold." Kuria added. Kuria is among MPs in Central Kenya who are not comfortable with Jubilee saying the region need to see ahead and form a new party that will cater for the interests of Mt Kenya region in 2022.
mungiki! you can go ahead and form your terrorist (mungiki) party cos that's all know of you guys.